BRUSSELS (Reuters) -- The European Commission has launched legal proceedings against Germany over Daimler's refusal to remove a banned refrigerant from new Mercedes-Benz cars. The EU executive's decision follows months of investigation by the Commission into the carmaker's refusal, backed by Berlin, to apply an EU law banning an air-conditioning refrigerant known as R134a. "We are opening a procedure against Germany. This is not a final decision by the Commission," EU industry commissioner Antonio Tajan said. Germany now has two months to respond, the Commission said in a statement. A formal procedure for breach of EU rules is a multi-stage process which takes months. If an appeals process is unsuccessful the dispute ends up before the European Court of Justice, and could ultimately result in heavy fines. 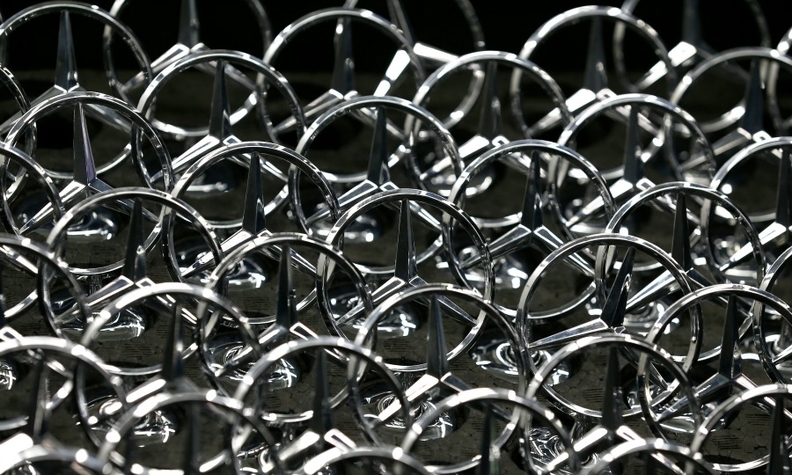 Around 130,000 Daimler cars would have to be withdrawn if the Commission's view on the refrigerant prevails. The EU executive also threatened the UK, Belgium and Luxembourg with legal action, saying it suspected them of seeking to circumvent the refrigerant rules by approving new vehicles on the basis of older technical standards. Daimler said its refusal to phase out the refrigerant, a global warming agent more than 1,000 times more potent than carbon dioxide, is justified by safety concerns. It still uses the refrigerant in new Mercedes A-Class, B class, CLA and SL cars. The only available replacement for R134a, Honeywell's R1234yf, has a global warming potential that is virtually the same as CO2, but Daimler says it can emit toxic hydrogen fluoride gas when it burns, making it a safety hazard. After safety tests, other European carmakers have switched their newest models to the coolant developed by Honeywell in partnership with Dupont. "Daimler says there is a safety problem with the new coolant, but we do not see that," Tajani said. The German government and Daimler said they did not believe the continued use of the refrigerant amounted to a breach of EU rules. Instead they urged EU authorities to reconsider whether R1234yf really is safer. Daimler said it had won approval from the German government for the continued use of R134a while a newer generation CO2-based refrigerant is developed. Germany's automobile industry association VDA said it was surprised the European Commission was taking formal steps even before tests on the safety of 1234yf had been evaluated.